To call this winter a wash-out would be something of an understatement. Parts of the country have experienced double the average amount of rainfall and vast swathes of countryside are still under water. When the rain stops and the sun comes out, as it did last Sunday afternoon, it is cause for much celebration. 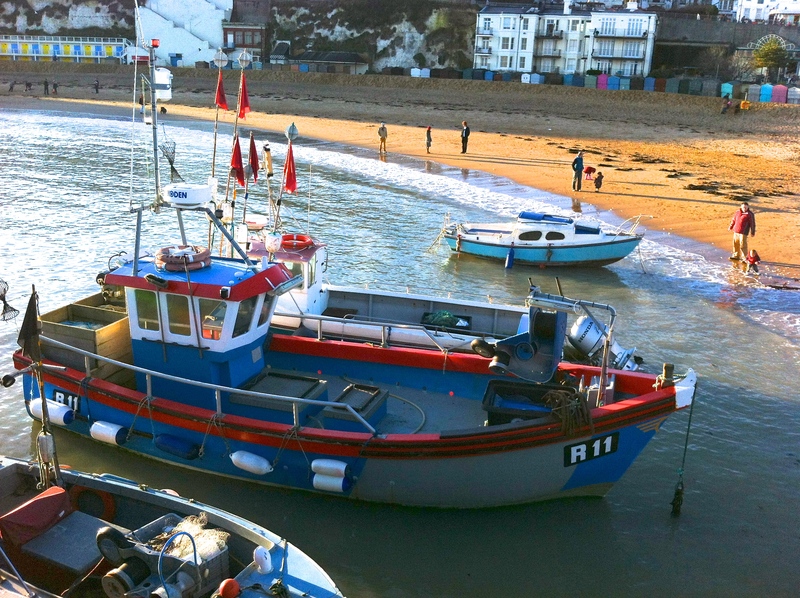 We had been cooped up indoors all weekend when the clouds briefly cleared to reveal Broadstairs in dazzling technicolour. 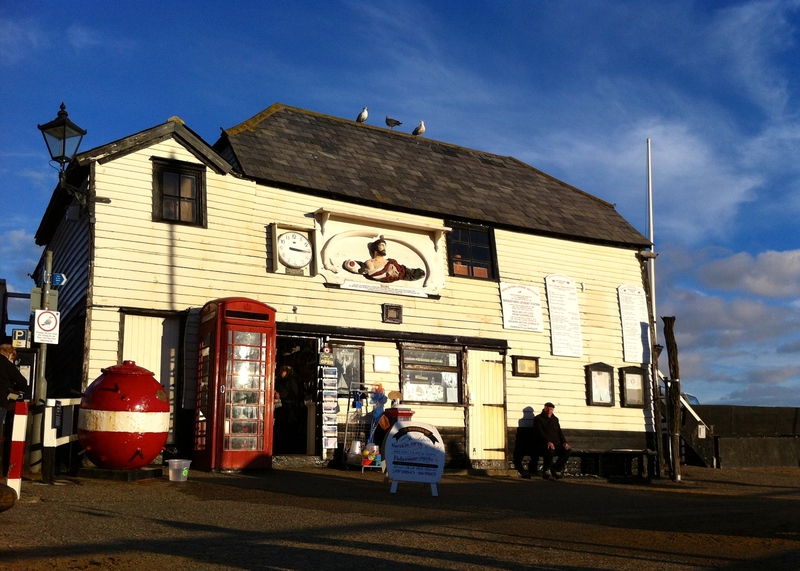 On went the boots and out we sped to join other hardy Thanetians on the seafront. By 3pm the sun was already low in the sky, creating long shadows and bold contrasts. Where rays of light found their target, details were picked out with extraordinary clarity, the blues, reds and whites given an amazing richness. The sand (what’s left of it after a series of tidal surges) was rendered the colour of toffee, swept clear of pebbles and seaweed. 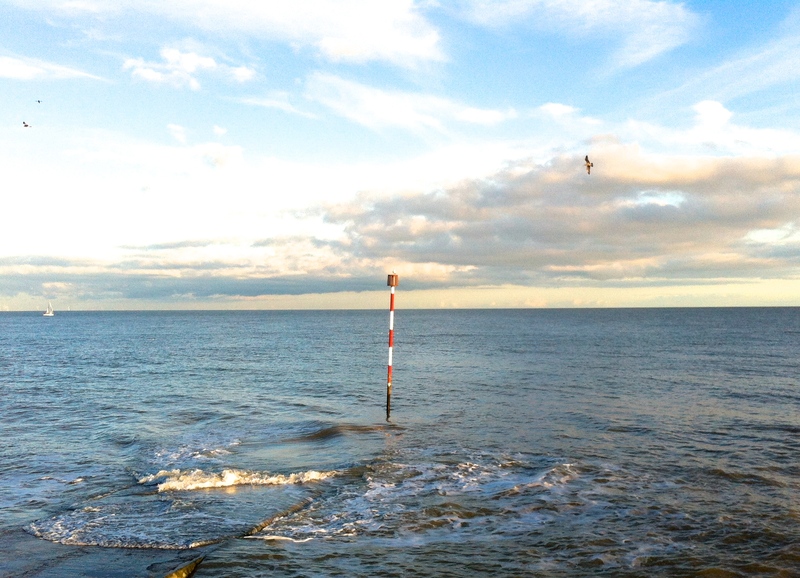 The cliffs between Broadstairs and Ramsgate have experienced a number of minor rock falls this winter. Thankfully they are nothing like those that we watched on television around the coast of Norfolk and Sussex, where homes were lost to the sea. In the photograph above, Him Indoors hunts unsuccessfully for fossils. 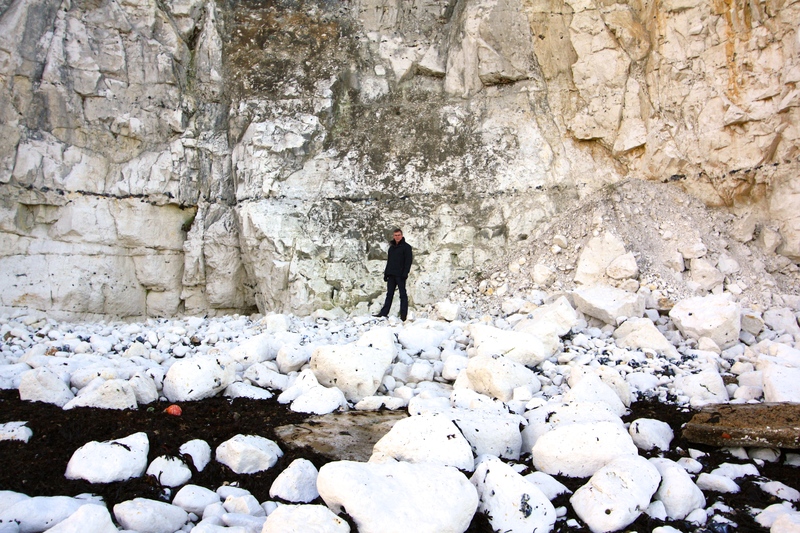 Thanet’s chalk cliffs are renowned for their petrified sea urchins, sponges and corals, but we have never found any. If we are honest we are not all that sure what we are looking for! For hungry birds there are still berries in abundance. 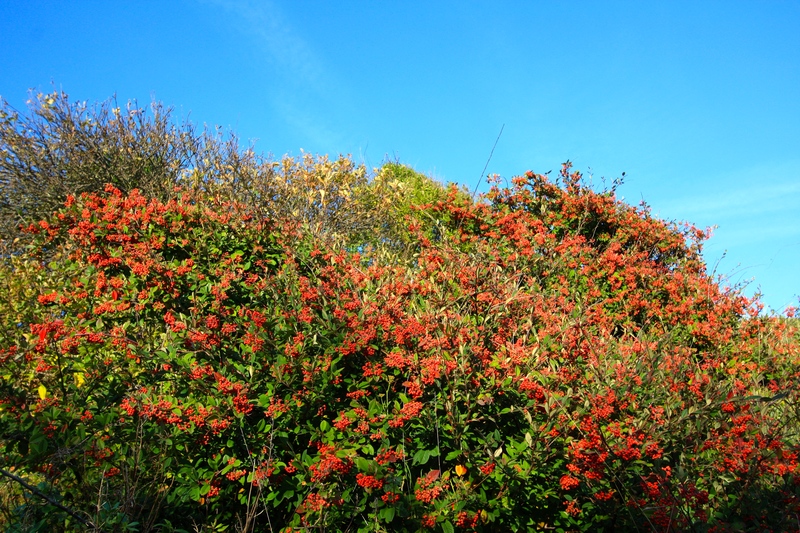 These windswept cotoneasters were laden with fruit, clearly not to the liking of seabirds and sparrows. Again, the blues and reds in this scene were wonderfully saturated. As the sun started to approach the horizon it was time to turn back, get the wood burner lit and put our feet up with a pile of seed catalogues before the next storm hit. I can well imagine! We are at the other end of the soggy spectrum here. It’s cold, wet and in the West Country there has been serious flooding since Christmas. We have a roaring fire going and hot water bottles in the bed. I bet your garden will go ballistic after all that refreshment? Where Have All The Coleus Gone?